Dansk Supermarked A/S, the owner of word trade marks NETTO and word-figurate trade mark NETTO R-114747 filed to the Polish Patenet Office a notice of opposition to the final decision on the grant of a right of protection for the word-figurative trade mark NETO R-227788 that was registered for the goods in Classes 7, 11, 19, 20, 21 and services in Classes 35 and 42. The opponent pointed out that the services in Class 35 are identical to these that NETTO trade marks were registered for, and are directed to similar consumers through similar channels. Furthermore, the services in Class 35 are complementary to the goods and services from other classes. Dansk Supermarked A/S also argued that the compared trade marks are very similar. The dominant element of the sign in question is the word “NETO”, which is crucial for the perception of the character, and the figurative element is of secondary importance. The word “NETO” is entirely contained in the opposing signs, therefore the compared trade marks are “substantially similar” and that the average consumer may mistakenly associate the signs, and there is a real risk of misleading the public as to the origin of goods and services. The owner, Polish company Galicja Tomaszek sp. z o.o., argued that the chain stores NETTO offer both food and industrial goods, and in this case, the opposing sign is used for the determination of the store itself or chain of stores. In contrast, the disputed mark is used to designate the goods. The Polish Patent Office invalidated the right of protection. The PPO found that trade marks at issue are similar, and pointed out that all the goods in Classes 7, 11, 19, 20 and 21, are covered by the services included in class 35, and relate to the sale of these goods. Galicja Tomaszek sp. z o.o. filed a complaint against this decision. The Voivodeship Administrative Court in its judgment of 19 December 2012 case file VI SA/Wa 1808/12 dismissed it. The Court ruled that the term “providing a service” or “service” itself have no material content in the sense that the sign may be placed only on the elements used to provide a particular service, while a trade mark can be assigned to the goods, due to their material nature, and the consumer may directly related to the goods to which a sign is assigned. The similarity of the goods/services happens when the goods (services) covered by the earlier mark and the goods (services) covered by the later mark have the same purpose and method of use. Galicja Tomaszek sp. z o.o. filed a cassation complaint. The Supreme Administrative Court in its judgment of 18 September 2014 case file II GSK 1096/13 dismissed it. Categories: Art. 132(2)(ii) IPL | Art. 246 IPL | likelihood of confusion | Nice Classification | Polish Act on Industrial Property Law | Polish courts | Polish law | Polish Patent Office | Polish Supreme Administrative Court | similarity of goods | similarity of services | similarity of signs | trade mark opposition | trademark law | Voivodeship Administrative Court. This is the continuation of a story described in “Trade mark law, case VI SA/Wa 827/10“. INTER GLOBAL decided to file a cassation complaint against the judgment of the Voivodeship Administrative Court of 29 October 2010 case file VI SA/Wa 828/10 that upheld the decisions of the Polish Patent Office of 16 October 2009 case no. Sp. 449/05, in which the PPO invalidated the registration of the word-figurative trade mark TEMPO R-104245 because it was applied for in bad faith. The Supreme Administrative Court in its judgment of 9 May 2012 case file II GSK 883/11 dismissed the appeal. The Court noted that there was some sense in INTER GLOBAL’s legal arguments that there is a need to provide legal certainty in a situation where the disloyal agent used the trade mark of a foreign entrepreneur who was conscious of this fact, even if the trade mark was applied for registration in bad faith. However, the Court held that the protection of property rights against actions taken in bad faith is so extended that it will undoubtedly take precedence over considerations on legal certainty resulting from the long-term use of the mark. This rule will not be changed by the argument that the disloyal agent promoted the foreign trade mark and incurred significant expenses. The Polish legislator adopted the ban on registration of signs that were applied in bad faith as one of the main principles of industrial property law, so there is not any possibility of legalization of any unethical actions, even qualified, because characterized by bad faith of professional entities that are involved in business activities. Because of the legal certainty of market turnover, a foreign rightful owner of a trade mark used by another entity, will not be able to demand the invalidation of or to oppose the use of a later trade mark, in a situation in which the use of the later sign has been knowingly tolerated for a limited time, at least of 5 consecutive years, unless the application for registration of the later mark was made in bad faith. At the same time it should be noted that the registration of a trade mark that belongs to foreign trade partner by his disloyal agent without the consent is not always deemed as an act of bad faith. Although the cases in which an agent acting without the authorization of the proprietor will not be acting in bad faith are veru limited, however, such situations may occur. The court also said that the acceptance of INTER GLOBAL’s argument would lead to a situation of unequal treatment of foreign entrepreneurs compared to those operating in Poland. If, as the Polish Industrial Property Law rules only apply to relationships between a Polish agent and foreign entrepreneur, it would allow for an unlimited in time option of invalidation of the registered trade mark that was applied in bad faith (that option lapse after 5 years of the use of such mark, with the knowledge of a foreign entrepreneur), in the situation of the agent and a company operating in Poland. The company operating in Poland and being in the agency relationship with another entrepreneur (agent) could, therefore request for the invalidation of the signs registered by the latter in bad faith at any time. The foreign entrepreneur represented by a Polish disloyal agent would be deprived of such a right. Categories: Art. 161 IPL | Art. 165 IPL | Art. 315 IPL | Art. 6bis Paris Convention | Art. 6septies Paris Convention | bad faith | Paris Convention | Polish Act on Industrial Property Law | Polish Supreme Administrative Court | trademark law. On 6 September 2007, the Polish Patent Office granted the right of protection for the word trade mark PRESTIGE OLIMPIC R-197858 for goods in Class 19 such as non-metallic construction materials, timber liners, bonded and not bonded floorboards, flooring lumber, sawn wood, planed and machined wood, construction wood, laminate flooring. This sign was applied for by the Polish company Barlinek S.A. The International Olympic Committee filed a notice of opposition to the decision of the Patent Office. The IOC noted that the name INTERNATIONAL OLYMPIC COMITEE is used since 1894, and the questioned trade mark causes the violation of its property rights and personal interests, in particular the right to the company name. In addition, the IOC claimed that the sign PRESTIGE OLIMPIC is similar to the CTM THE OLYMPICS no. 002827632, registered with the earlier priority, which may cause a risk of consumers confusion. Barlinek S.A. did not agree with such arguments and argued that both trade marks are completely different. The Company pointed out that the goods in Class 19 that are marked with the sign THE OLYMPICS have not been introduced on the Polish market. The Polish Patent Office in its decision of 6 December 2010 no. Sp. 345/09 dismissed the request. According to the PPO, the words “Olympic” and “Olympics” are similar, but without prejudice to the similarity of signs. The PPO ruled that in this case, the recipients of goods are specialists in the construction industry, who are buying all the supplies at special stores and warehouses or directly from the manufacturers. Therefore, they are deemed as people paying bigger attention, as professionals, to the goods that they purchase. Such professional customers are well-versed in quality, product names and parameters as they are interested and will pay a special attention to who is the manufacturer of the goods.The IOC filed a complaint against this decision. The Voivodeship Administrative Court in Warsaw in its judgment of 27 February 2012 case file VI SA/Wa 2458/11 dismissed it. The Court held that the PPO ruled correctly that multiple signs and trade marks are used as the determination of the Olympic Games. However, no evidence was submitted that the sign THE OLYMPICS is being used in relation to the Olympics. The owner of the CTM did not show the connection between the CTM and any other goods. The sign THE OLYMPICS cannot be deemed as reputed trade mark only because its translation to Polish means Olympic games or Olympics. It is necessary to demonstrate the link between the mark and the goods and/or services. Therefore, the Court decided that the reputation has not been proven. Both signs are written in standard fonts, without any particular distinguishing features, so the same way they are written does not cause that any of the elements of these characters is predominant. The PPO correctly concluded that, despite the similarity of words in the second position in both characters, it cannot be said that the trade marks are confusingly similar. The judgment is not final. The IOC filed a cassation complaint. Categories: Art. 132(2)(ii) IPL | Art. 132(2)(iii) IPL | Art. 6bis Paris Convention | company name or firm | famous trade marks | International law | Paris Convention | personal rights or interests | Polish Act on Industrial Property Law | Polish Patent Office | reputed trade marks | similarity of signs | trade mark invalidation | trademark law | Voivodeship Administrative Court | well known trade marks. In 2007, for about 6 months, the Polish Central Anti-corruption Bureau collected telecommunications data, including billings and location data from Base Transceiver Stations, of a Polish journalist Bogdan Wróblewski. Mr Wróblewski sued the Polish State Treasury which according to the Polish law represents the Polish state in certain legal aspects.. The District Court in Warsaw in its judgment of 26 April 2012 case file II C 626/11 has confirmed that the Central Anti-corruption Bureau violated personal interests of a journalist by collecting his telecommunications data. The Court pointed out that privacy is a fundamental human right and its breach must be justified and proportionate. The permission is limited “objectively” to offenses of corruption and “qualitatively” – its condition should be determined by the fact that there are not available less invasive means of control which could be useful. The process of receiving of telecommunications data must take into account these limitations each time it is initiated. Categories: Art. 23 CC | Art. 24 CC | e-law issues | European Convention on Human Rights | legal regulations on computer networks | personal rights or interests | Polish Act on Telecommunications Law | Polish Civil Code | Polish District Court | Polish law | privacy | telecommunication law. On 10 March 2006, Red Bull GmbH applied for the color trade mark Z-307435. The trade mark application included the following description “a mark consists of the color blue (2/4/C) and silver (877 C) that fill half of a sign”. However, the company did not specify how both colors fill the applied trade mark, i.e. whether horizontally or vertically. In the decision on the grant of the right of protection that was issued of 2008, the PPO indicated only two categories of the Vienna Classification: 29.01.2004 and 29.01.2006. In its resolution of 2009, the PPO decided to correct the decision as the so-called obvious clerical mistake. The Polish Patent Office justified its resolution based on reproductions of the trade mark that were attached to the trade mark application Z-307435. The PPO decided that the applied trade mark was a figurative one and noted that the trade mark was vertically divided into two parts. 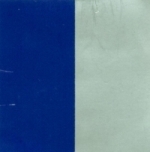 The PPO ruled that the category 25.05.2001 (backgrounds divided vertically into two parts) should be also added, because even the applicant stated that the colors fill in half, and presented relevant reproductions of the sign, where one can clearly see two rectangles placed side by side. The PPO added also the category 04.26.2002 (rectangles). Red Bull filed a complaint against the resolution of the PPO before the Voivodeship Administrative Court in Warsaw. The Company claimed that its trade mark should not be defined in the PPO’s decision as a figurative, but as an abstract colorful trade mark, which accurately reflects its true nature. Red Bull argued that the Polish Patent Office erred in applying categories of the Vienna classification, since the application concerns an abstract colorful sign. Consequently, it was correct to include in a trade mark application Z-307435 only a category that was corresponding to the colors. Red Bull claimed that the Polish Industrial Property law and Article 15(1) of the Agreement on Trade-Related Aspects of Intellectual Property Rights (TRIPS) allow for the registration of combinations of colors in the Republic of Poland. The Voivodeship Administrative Court in Warsaw in its judgment of 21 April 2011 case file VI SA/Wa 2519/10 overturned the questioned resolution and held it unenforceable. The VAC ruled that both the doctrine of law and case-law stand on a restrictive view that the admissibility of correcting “clerical and accounting mistake/miscarriage” is determined by the premise of “obviousness” of the mistake. The “obviousness” of a clerical, accounting or another mistake should either result from the nature of the mistake or from the comparison of a decision with its justification or with the content of the request, or other circumstances. An obvious mistake is deemed as an apparent, contrary to the goal, deliberate misuse of the word, apparently erroneous spelling or an omittment. The Court held that the Vienna categories added by the PPO defined the shape of a sign, of which there was no mention in the trade mark application. So, the PPO “clarified” the content its decision of May 2008 by pointing to the shape of the trade mark applied for. By describing the form of a reproduction attached to the trade mark application, the PPO referred to a figure of rectangle and consequently attributed such a form to the trade mark at issue. Meanwhile, a reproductions has its own form, that is independent of the form of the trade mark itself. A form, shapes and dimensions of the reproductions (photographs or photo-copies of a trade mark) are defined in § 9 of the Regulation of the Prime Minister of 8 July 2002 on filing and processing of trademark applications. The Court found that there was no reason to draw conclusions about the shape of the trade mark only on the basis of the rectangular shapes of the reproduction included in the trade mark application Z-307435. Categories: Agreement on Trade-Related Aspects of Intellectual Property Rights | Art. 113 APC | Art. 120(1) IPL | Art. 120(2) IPL | Art. 15 TRIPS | double color | International law | non-traditional trade marks | Polish Act on Industrial Property Law | Polish Administrative Proceedings Code | Polish courts | Polish institutions | Polish Patent Office | telle quelle rule | trade mark examination | trade mark register | trademark law | Voivodeship Administrative Court. This is a sequel to a story described in “Trade mark law, case Sp. 10/08“. In July 2009, the Polish Patent Office invalidated the right of protection for the trade mark DAKAR R-174205 that was registered for goods in Classes 3, 27, 37, after considering the case on the basis of rich evidence supplied by both parties. The PPO recognized inter alia the special nature of the opposed trade mark DAKAR IR-606861, that wasregistered for goods in Classes 4, 9, 12, 14, 16, 18, 21, 22, 24, 25, 26, 28, 30, 32, 34 and 41, which in addition to its traditional function of determining the origin of goods, is also the name of the famous rally raid. In explaining its position, the PPO used arguments on a function of a trade mark known as the “merchandising function” and cited D. Keeling, Intellectual Property Rights in EU Law: Free movement and competition law, Oxford, 2003. When examining the circumstances of the case, the PPO concluded that DAKAR IR-606861 trade mark is a reputed one. The PPO pointed to the existing methods for assessing the reputation – the absolute and relative. The first method takes primarily into account the percentage of a certain degree of knowledge of the trade mark on the market (as established by the Voivodeship Administrative Court in Warsaw in its judgment of 8 August 2007, case file VI SA/Wa 757/07). The relative method, in addition to knowledge of the trade mark, emphasizes other criteria, including market share in terms of quantity and value of goods sold, the scope and length of the advertising of the product marked with the sign, territorial and temporal scope of the use of the trade mark, licenses granted, the quality of the goods, the value of a sign in the assessment of independent financial institutions, the size of the expenditure incurred in connection with the promotion of the trade mark and the relationship to the price of substitute goods. Public opinion polls, prizes and awards, publications, press releases, rankings, reports, invoices and other business records, and various promotional materials can serve as evidence. The PPO cited the judgment of the COJ of 14 September 1999 in C 375/97, General Motors Corporation, the judgment of Supreme Administrative Court of 21 November 2006, case file II GSK 181/06 and the decision of OHIM of 25 April 2001 in case R 283/1999-3. See also “Trade mark law, case II GSK 506/07“. When referring to the transfrontier nature of the reputation of a trade mark, the PPO found that the Paris-Dakar rally, although it takes place outside the Polish borders, has many fans, as evidenced by the data on viewing TV programs on the rally – from 550000 to over 1200000 people, which according to the PPO, proved a high popularity. The PPO cited the judgment of the Voivodeship Administrative Court in Warsaw of 8 November 2005 case file VI SA/Wa 845/05 (VALENTINO) and the judgment of VAC of 13 March 2006, case file VI SA/Wa 1626/05 (LEXUS). See also “Trade mark law, case VI SA/Wa 845/05” and “Trade mark law, case VI SA/Wa 1626/05“. When deciding on the unfair advantage, the Polish Patent Office found that in this case, the Polish company will be able to count on the positive reaction of customers without spending too much money on the promotions, because they will buy the goods by associating them with the sign of the French company and consequently with the rally organized by this company. The Polish company DAKAR from Krasne filed a complaint against this decision. The Voivodeship Administrative Court in Warsaw in a jugment of 29 December 2009, case file VI SA/Wa 1938/09, ruled that the word Dakar also means the capital city of Senegal, and such argument escaped PPO’s attention during the analysis of all the facts and evidence gathered. In this aspect this sign also fulfills political and economic role. Therefore, the name of Dakar has long been known as an exotic name of the city and it should not be attributed exclusively to one company. The VAC anulled the Polish Patent Office’s decision and decided that the decision was not subject to execution. Paris Dakar filed a cassation complaint. The Supreme Administrative Court in its judgment of 25 May 2011 case file II GSK 578/10 overturned the questioned judgment and sent the case back for reconsideration. The SAC ruled that given the nature of Paris-Dakar business, the PPO properly established the reputation of the trade mark DAKAR IR-606861. The SAC did not agree with the criteria for assessing the reputation of a trade mark that were adopted by the VAC. The Court ruled that the reputation cannot be examined so strictly because organization of sports events is a specific activity and the reputation associated by its trade mark is also conveyed by the media. Categories: Art. 132(2)(iii) IPL | Art. 16(3) TRIPS | Art. 8 Paris Convention | famous trade marks | International law | Paris Convention | Polish Act on Industrial Property Law | Polish Patent Office | reputed trade marks | trademark law | Voivodeship Administrative Court. Czech entrepreneur Druchema Drużstvo pro Chemickou Vyrobu a Sluzby requested the Polish Patent Office for the invalidation of the right of protection for TEMPO R-104245 and TEMPO R-154752 trade marks registered for goods in Classes 02 and 03 such as wax paste for maintenance and renovation of car lacquer. Both trade marks are owned by INTER GLOBAL Sp. z o.o. Druchema argued that it owns TEMPO trade mark that was registered in the Czech Republic and INTER GLOBAL was for many years its sales representative in Poland and in this period the representative applied for on its own behalf and obtained trademark protection for TEMPO signs in Poland. The Polish and Czech company entered into an exclusive sales agreement, however, its provision did not include the powers to register TEMPO trade marks. INTER GLOBAL argued that it created and registered different trade marks. The PPO invalidated the rights of protection in its decisions of 5 October 2009 case files Sp. 448/05 and Sp. 449/05 . INTER GLOBAL filed a complaint against both decisions. The Voivodeship Administrative Court in Warsaw in its judgment of 29 October 2010 case file VI SA/Wa 827/10 dismissed the complaint and ruled that it was not necessary for the recognition of bad faith of the applicant for the right of protection for a trade mark, that the the contracting party has used a trade mark identical to a sign of its business partner during their commercial cooperation. It was sufficient that during the commercial cooperation the contracting party has used a trade mark that was very similar to the trademark invalidated. The Voivodeship Administrative Court in Warsaw in its judgment of 29 October 2010 case file VI SA/Wa 828/10 also dismissed the complaint and ruled that many years of cooperation between Polish and Czech entrepreneurs led to the fact that INTER GLOBAL had clear information about Druchema, and how it designates its products. For these reasons, by applying for the protection for the mark in question that was very similar to a trade mark used by Druchema and doing it without its consent and knowledge, INTER GLOBAL was clearly acting in bad faith. Both judgments are not final yet. Categories: Art. 107 §3 APC | Art. 131(1)(ii) IPL | Art. 131(2)(i) IPL | Art. 161 IPL | Art. 6septies Paris Convention | Art. 7 APC | Art. 77 APC | Art. 80 APC | bad faith | Paris Convention | Polish Act on Industrial Property Law | Polish Administrative Proceedings Code | similarity of signs | trade mark invalidation | Voivodeship Administrative Court. This is the continuation of a story described in “Trade mark law, case VI SA/Wa 121/09“. HOUSE Spółka z o.o filed a cassation complaint. The Supreme Administrative Court in its judgment of 23 September 2010 case file II GSK 779/09 dismissed the case. The Court agreed with the VAC that ICT had the status of “owner” of the trade mark within the meaning of Article 161 of the IPL in connection with Article 6 septies of the Paris Convention although ICT at the date of the application of the questioned trade mark, i.e. on 11 March 1994, was not entitled under Article 161 of the IPL to XL XAVIER LAURENT IR-763083 trade mark, since the registration has been granted on 23 September 1999, and the protection of international registration lasts until 10 July 2001. The SAC ruled that the provisions of Article 8(1) of the TMA concerns the substantive conditions of registration of the mark (it is not allowed to register a sign, which is contrary to the law or the rules of social coexistence) and it was referred to in Article 29 of TMA as a basis for invalidation of the registration of the trade mark, if the conditions provided in Article 8(1) were met. However, Article 161(1) and (2) of the IPL concerns only a request (claim) for invalidation of the right of protection. 1. To the extent as follows from an international agreement, where a trademark has been applied for protection by and on behalf of, or the right of protection has been granted for, an agent or a representative of the person enjoying the exclusive right to use that trademark in another country, that person may, if the agent or representative acted without that person’s consent, demand that the protection granting proceeding be discontinued or the right of protection revoked. He may also demand that the right of protection be granted on his behalf, or the right already granted transferred to him. 2. The right may not be demanded to be revoked or transferred, where the entitled person referred to in paragraph (1) has acquiesced, for a period of five successive years, in the use of the registered trademark while being aware of such use. It was obvious for the Court that if the conditions mentioned in the Article 161(2) of the IPL were met, then there is no need to study the substantive grounds for invalidation of the registration, as referred to in Article 8(1) in connection with Article 29 of the TMA. It is in accordance with Article 161(2) of the IPL that the request for the invalidation or transfer of rights cannot occur if, for a period of five consecutive years, the holder referred to in paragraph 1, being aware of such use, did not object to the use of a registered trade mark. Categories: Art. 153 IPL | Art. 161 IPL | Art. 6septies Paris Convention | bad faith | International law | Paris Convention | Polish Act on Industrial Property Law | Polish Supreme Administrative Court | trade mark invalidation | trademark law. The Voivodeship Administrative Court in its judgment of 15 June 2010 case file VI SA/Wa 574/10 ruled that Article 8 of the Paris Convention is a “conflicting norm” i.e. a norm/rule in private international law that points to appropriate substantive law that should be applied in a given case. The “trade name” on the basis of Article. 8, 9, 10 bis of the Paris Convention covers both the company name as an indication of business and company name in the subjective meaning. A trade name is the name of an entity being endowed with a right (merchant, trader, businessman – the subject of rights ), under which it is established and is performing its business activity, usually organized as the company/enterprise (the object of rights). It is therefore a designation of a business, which includes distinctive elements, and all these elements that allow for the individualization of economic activity. The disclosure of company’s name in the registry (National Court Register – Polish public register maintained by the selected regional courts and the Ministry of Justice which includes the register of enterprises) has a declaratory nature and provides the legal basis for the possibility of setting up/starting a business, therefore the priority of use decides on the priority of right to the company name. Categories: Art. 10bis Paris Convention | Art. 131(1)(i) IPL | Art. 131(2)(i) IPL | Art. 8 Paris Convention | Art. 9 Paris Convention | bad faith | company name or firm | Paris Convention | personal rights or interests | Polish Act on Industrial Property Law | trade mark invalidation | trademark law | Voivodeship Administrative Court. On 25 May 2005, the Polish Patent Office granted the right of protection for the word trade mark MIESZKO R-165555 for goods in Class 29. ZAKŁADY PRZEMYSŁU CUKIERNICZEGO “MIESZKO” S.A. filed a notice of oppostion. MIESZKO S.A. claimed infringement of its company name and identicality with its trade mark MIESZKO R-87813 registered with an earlier priority for goods in Class 30. The PPO dismissed the opposition and ruled that both trade marks are identical, but Mieszko is a male name of Slavic origin, and the goods differ to the extent that there is no risk of consumers confusion. The very similarity of the signs, however, cannot be a sufficient argument to invalidate the right of protection for the word mark. The Voivodeship Administrative Court in Warsaw in its judgment of 17 March 2009 case file VI SA/Wa 1873/08 dismissed the complaint. Categories: Art. 131(1)(i) IPL | Art. 132(2)(ii) IPL | Art. 132(2)(iii) IPL | Art. 8 Paris Convention | company name or firm | Paris Convention | personal rights or interests | Polish Act on Industrial Property Law | Polish Patent Office | Voivodeship Administrative Court. On 30 August 2004, the Polish Patent Office registered word-figurative trade mark Ravago R-154724 to Walter Breitengraser. The Polish company RESINEX Sp. z.o.o. submitted a request for invalidation of the right of protection, arguing that Mr Breitengraser has applied for the registration in violation of RESINEX personal and economic rights arising from the rights to the name Ravago and in violation of good customs. Resinex also claimed that the application for the disputed trade mark was made in bad faith because Walter Breitengraser was the president of the company acting as an agent for RESINEX. The Patent Office invalidated the right of protection for Ravago R-154724 trade mark. The PPO followed the rule that in the event of a conflict between the right of protection for a trademark and personal right/interest, including the right to business/company name, the priority is to protect the personal interest. The PPO also pointed out that article 8 of the Paris Convention does not constitute independent grounds for the protection of trade names, and therefore a request for its protection must be dealt with under the provisions of national law. The PPO also noted that it is established rule in the legal doctrine and case law, that the registration of a trade mark, which is identical to a name of other company, that was used by this company prior the registration of a questioned trade mark, affects the personal interests of this company. The complaint filed by Walter Breitengraser was rejected by the Voivodeship Administrative Court in Warsaw in a judgment of 4 November 2008, case file VI SA/Wa 1324/08. The Supreme Administrative Court in a judgment of 23 February 2010, case file II GSK 425/09 rejected the cassation complaint and held that the presumption of good faith, as defined in article 7 of the Civil Code – CC – (in Polish: Kodeks Cywilny) of 23 April 1964, Journal of Laws (Dziennik Ustaw) No. 16, item 93, with subsequent amendments, is the presumption, to which the provisions of Article 234 of the Civil Proceedings Code – CPC (in Polish: Kodeks Postępowania Cywilnego) of 17 November 1964, published in Journal of Laws (Dziennik Ustaw) No. 43, item 296, with subsequent amendments, refers to. Under this provision, the presumption laid down by the law (legal presumption) binds the court and may be rebutted, however, whenever the law does not preclude this. If the Act makes the legal consequences dependent of good or bad faith, the existence of good faith is presumed. This provision has the auxiliary use in all administrative and court-administrative proceedings. There is no rule of law that would exclude the possibility of presentation of the proof of the existence of bad faith. Categories: Agreement on Trade-Related Aspects of Intellectual Property Rights | Art. 131(2)(i) IPL | Art. 16(1) TRIPS | Art. 234 CPC | Art. 6septies Paris Convention | Art. 7 CC | Art. 8 Paris Convention | Paris Convention | Polish Act on Industrial Property Law | Polish Civil Code | Polish Civil Proceedings Code | Polish Supreme Administrative Court. Tianjin Cosmetics Scientific – Technical Research Institute Co., Ltd from China filed a request for invalidation of PULANNA R-76294 and PULANNA R-76424 trade marks. The company from China claimed that the person who applied for the protection of these two trade mark was acting as a Polish agent of Tianjin Cosmetics Scientific and he has concealed the fact of both trade mark applications and subsequent registrations. The Supreme Administrative Court in a judgment of 17 February 2010 case file II GSK 387/09 ruled that to the extent as follows from an international agreement, where a trademark has been applied for protection by and on behalf of, or the right of protection has been granted for, an agent or a representative of the person enjoying the exclusive right to use that trademark in another country, that person may, if the agent or representative acted without that person’s consent, demand that the protection granting proceeding be discontinued or the right of protection revoked. He may also demand that the right of protection be granted on his behalf, or the right already granted transferred to him. The right may not be demanded to be revoked or transferred, where the entitled person has acquiesced, for a period of five successive years, in the use of the registered trademark while being aware of such use. Moreover, the facts of each case are examined on the date of trade mark application. See also “Trade mark law, case II GSK 950/08“. Categories: Art. 161 IPL | Art. 6septies Paris Convention | Art. 8(1) TMA | bad faith | case law | Paris Convention | Polish Act on Industrial Property Law | Polish Act on Trade marks | Polish Supreme Administrative Court. The Voivodeship Administrative Court in a judgment of 15 November 2009, case file VI SA/Wa 906/09 ruled that the scope of the European patent is the same as in the case of a national patent granted, and the case law of individual member states presents different approaches to the examination of the patentability of inventions using computer software. Article 27 of the PCT cannot be treated as a ban on the use of individual interpretation to assess the patentability of the invention for the protection of which one is applying. Article 27(5) of the PCT provides that the contracting States have flexibility in setting the conditions for patentability. In this case, the PPO exhaustively referred to the fact of the grant of an European patent for the questioned invention and indicated the reasons for which it did not grant patent rights in Poland. Undoubtedly for the VAC, it was hard not to notice the importance of the referral by the President of the European Patent Office (EPO), to the Enlarged Board of Appeal of the EPO on the fundamental issues relating to the interpretation of articles 52 EPC in relation to computer programs. See case G 3/08, application filed on 22 October 2008. The questions asked by Alison Brimelow reflect the concerns and divergent interpretations which source is located in the line of EPO case law aiming to over-extend the concept of “patentability of inventions”. At the date of hearing of the case the mentioned referral was not considered by the Enlarged Board of Appeal of the EPO. Therefore, the unified position on the examination of the patentability of inventions using computer programs/software, which could be addressed by Member bound by EPC, did not exist yet. Given the above, the VAC held that the complaint should be dismissed because it did not include proper basis. The Supreme Administrative Court in its judgment of 10 February 2011 case file II GSK 245/10 reversed this judgment and set the case back to the VAC for reconsideration. See also “Patent law, case VI SA/Wa 2566/08“. Categories: Art. 27 PCT | Art. 52 EPC | case law | European Patent Convention | European Patent Office | Patent Cooperation Treaty | patent law | patentable subject matter | Polish Act on Industrial Property Law | Polish Patent Office | Voivodeship Administrative Court. On September 2008, the Polish Patent Office (PPO) refused to grant a patent for an invention entitled “method and device for access to the telecommunications network and for accounting telecommunications services”. The PPO held that this invention is not a technical solution. The applicant filed a complaint to the administrative court. The Voivodeship Administrative Court (VAC) in Warsaw, in a judgment of 25 February 2010, case file VI SA/Wa 1525/09 annulled the decision, however, the VAC did not agree with applicant’s arguments that the PPO had to take under the consideration earlier decision of the EPO on the grant of the patent for the questioned invention. The Court held that the Polish Patent Office is not obliged to take into account in its assessment that was made from the perspective of the f the Polish Act of 30 June 2000 on Industrial Property Law – IPL – (in Polish: ustawa Prawo własności przemysłowej) of 30 June 2000, published in Journal of Laws (Dziennik Ustaw) of 2001 No. 49, item 508, consolidated text on 13 June 2003, Journal of Laws (Dziennik Ustaw) No. 119, item 1117, with later amendments, the assessment that was carried out by the European Patent Office and its interpretation of the applicable law. Categories: Art. 37 IPL | European Patent Convention | European Patent Office | patentable subject matter | Voivodeship Administrative Court. The Voivodeship Administrative Court in its judgment of 24 July 2008 case file VI SA/Wa 237/08 dismissed Tiffany & Broadway Inc. Div. of Texpol Corporation’s appeals against the Polish Patent Office decisions of 19 March 2007 case files Sp. 68/04 and Sp. 69/04, regarding the invalidation of the right of protection for word-figurative trade marks TIFFANY R-128063 and “Tiffany & Broadway Inc.” R-128064 which were registered in class 25 for shoes. The New York’s company argued inter alia that use of TIFFANY trade mark for goods such as footwear is a parasitic activity that uses another’s trade mark reputation and is bringing undue financial benefit to the holder of national registrations. The Company also stressed the fact that its trade mark is subject to protection under article 8 of the Paris Convention. The VAC ruled that the application for the protection of the TIFFANY mark for goods in class 25 was contrary to the principles of social coexistence because it caused the risk of weakening the reputation of the trade mark. Given the fact that the shoes are cheap and readily available, there is a risk of dilution of the reputation of TIFFANY trade mark and it may lead to lose its attractiveness among the exclusive clientele of goods bearing this mark. The SAC in a judgment of 8 July 2009, case file II GSK 1111/08 ruled that the old Polish Act of 31 January 1985 on Trade Marks – TMA – (in Polish: Ustawa o znakach towarowych), published in Journal of Laws (Dziennik Ustaw) No 5, item 15, subsequent amendments, do not explicitly provide for any special protection for unregistered reputed trade marks. However, the doctrine and the Polish case law have already accepted the concept, that such protection could be provided under article 8(1) of the TMA. In particular looking at the circumstance of “a trade mark conflicting with the principles of social coexistence”, from the subjective perspective – it was commented that, the “contradiction/variance with the principles of social coexistence” may concerning the conduct/behavior of the applicant. On the basis of such conclusions, the registration of a sign for the goods of another kind, if the registration was intended to use the reputation of another’s trade mark or it was a threat of such reputation, was excluded. A trade mark application that was filed contrary to the principles of social coexistence, was an application made in bad faith. The absolute grounds/obstacles that are provided against the registration of the mark as defined in article 8(1) of the TMA do not directly refer to the relationship between the sign that was applied for and any other competing trade mark, however, in accordance with the accepted interpretation of that provision, in case of the infringement of the rules of social coexistence, the obstacle could be the inappropriate behavior on the applicant (its actions done in bad faith). The assessment of applicant’s actions, who was motivated by the desire to use another’s trade mark reputation, should therefore be also varied according to circumstances of its motivation and, not only related to the trade mark itself. The application for the right of protection for a trade mark that was made with the intent to use another trade mark’s reputation should be judged as an application that was made with the breach of the rules of social coexistence (application made in bad faith), regardless of whether it concerns a reputed registered trade mark or unregistered reputed trade mark. if (and to what extent) the mark is used by third party. the size of expenditures on advertising and promotion of the trade mark. The SAC cited, inter alia, the judgment of the Court of Justice of the UE of 14 September 1999 case C-375/97, General Motors and the judgment of the Court of First Instance of 13 December 2004 case T-8/03, El Corte Ingles and the CFI’s judgment of 25 May 2005 case T-67/04, Spa Finders. It is also clear that the reputation of a trade mark must be assessed and established in the country in which the protection is sought. If one would like to qualify a given trade mark as a reputed one in the Republic of Poland, then the argument of the international reputation of a trade mark is not sufficient. The basic circumstance for the recognition of the reputation of a sign in a specific country is to show by a person who is invoking this argument, the market share in terms of both quantity and value of goods sold. The SAC held that provisions of the First Directive 89/104/EEC of 21 December 1988 do not preclude the possibility of granting the protection to unregistered reputed trade marks under the national law. Just to keep it in order, it is worth adding, that the Polish Act of 30 June 2000 on Industrial Property Law – IPL – (in Polish: ustawa Prawo własności przemysłowej), published in Journal of Laws (Dziennik Ustaw) of 2001 No 49, item 508, consolidated text on 13 June 2003, Journal of Laws (Dziennik Ustaw) No 119, item 1117, with subsequent amendments, provides for such a possibility in the Article 132(2)(iii). (iii) is identical or similar to a renown trademark registered or applied for registration with an earlier priority (provided that the latter is subsequently registered) on behalf of another party for any kind of goods, if it without due cause would bring unfair advantage to the applicant or be detrimental to the distinctive character or the repute of the earlier trademark. The above provision shall apply to well-known trademarks accordingly. The protection of registered trade marks to the extent of the wording of Article 4(4)(a) of the Directive. The trade mark application that was made in bad faith shall be rejected based on the absolute ground for refusal of protection based on the provisions of Article 131(2)(i) of the IPL. The SAC ruled that the provisions of Article 4(4)(a) of the Directive cannot be interpreted as the maximum limitation for the protection of famous marks in the national law and it would be difficult to follow the arguments that the First Directive 89/104 is an example of the so-called “complete harmonization” citing the judgment of the Court of Justice of the European Union of 9 January 2003 in case C-292/00, Davidoff & Cie S. A. According to the SAC, the court of first instance (VAC) wrongly assumed the bad faith of the applicant and it did not consider the fact that the applicant has conducted its business in Poland since 1990 with the use of the mark, and after about five years of its activity, the company applied for the registration of the mark. These circumstances certainly were not indifferent to assess the intentions and purposes of the applicant so the VAC should address them in the grounds of the appeal. When deciding on the interpretation of Article 8(1) of the TMA, which allows for the protection of not registered reputed trade marks in Poland, it should be also noted, that such protection have a special character because it applies to unregistered marks, and it is an exception to the principle of protecting industrial property rights by the registration process. This requires preserving much care, so that without proper justification, would not depreciate the importance of registering trade mark and it would not reduced the registration to a purely formal procedure that has no importance. Therefore, the SAC annulled both questioned judgments of the Voivodeship Administrative Court and returned to the VAC for reconsideration in accordance with the conclusions reached and ordered the Polish Patent Office to pay Tiffany & Broadway Inc. Div. of Texpol Corporation 1200 PLN as reimbursement of costs of the cassation compliant. See also “Trade mark law, case II GSK 1110/08” and “Trade mark law, case VI SA/Wa 214/08“. Categories: Art. 131(2)(i) IPL | Art. 132(2)(iii) IPL | Art. 2 Paris Convention | Art. 3 TMA | Art. 8 Paris Convention | Art. 8(1) TMA | Art. 8(2) TMA | bad faith | Directive 89/104/EEC | EU law | famous trade marks | International law | Paris Convention | Polish Act on Industrial Property Law | Polish Act on Trade marks | Polish Patent Office | Polish Supreme Administrative Court | reputed trade marks | similarity of goods | similarity of services | similarity of signs | trade mark invalidation | trademark law | Voivodeship Administrative Court. On 9 October 1996, the Polish Patent Office registered the trade mark XAVIER LAURENT R-92393 for goods in class 3 such as personal deodorants. The trade mark is currenty owned by the Polish company HOUSE Spółka z o.o. from Zielona Góra. The International Trade Corporation Limited, the owner of XL XAVIER LAURENT IR-763083 trade mark filed a request for invalidation of the right of protection for XAVIER LAURENT R-92393 trade mark. 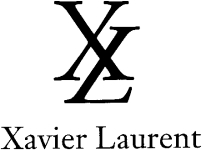 The ITC claimed it has been active in the cosmetics industry fo the long time and the most popular goods are these marked with the Xavier Laurent brand. The company had a national distributor of its products in Poland which on March 1994 applied to the Polish Patent Office for the trade mark registration of XAVIER LAURENT sign and later on it has assigned the right of protection for XAVIER LAURENT R-92393 to HOUSE. The ITC based its request on article 8(1) and (2) of the old Polish Trade Mark Act – TMA – (in Polish: ustawa o znakach towarowych) of 1985, published in Dziennik Ustaw (Journal of Laws) of 1985 No 5, pos. 15, with subsequent amendments. 1) it is contrary to law or to the principles of social coexistence. The request was also mentioning article 6septies of the Paris Convention for the Protection of Industrial Property. The Polish Patent Office dismissed ICT’s request and the company filed a complaint to the Voivodeship Administrative Court in Warsaw. On 5 May 2009, the VAC in a judgment case file VI SA/Wa 121/09, ruled that article 8(i) of the TMA must be interpreted broadly and concerns not only the form of trade mark, but also other subjective elements. The basis for invalidation may be, therefore, not only the characteristics of a trade mark itself, but also the reprehensible conduct of the applicant/owner. For the correctness of such interpretation of provisions of article 8(i) speaks the provisions of article 31 of the TMA that expressly provides for the invalidation of the registration rights acquired as a result of bad faith behaviour. The VAC also held that article 161 of the IPL specifies the entity protected by this provision as “a person entitled to the exclusive use of the mark in a foreign country.” The protection provided for in article 161 may be used by any entity (entrepreneur) from abroad, which will demonstrate that at least in one Member state a specific trade mark is its “property”, especially it has the right of exclusive use that came from the relevant decision of public authorities (patent organ) in that country. The VAC anulled the Polish Patent Office’s decision from 2008 and decided that the decision was not subject to execution. The Judgment is not final yet. Categories: Art. 161 IPL | Art. 6septies Paris Convention | Art. 8(1) TMA | Art. 8(2) TMA | bad faith | Polish Act on Industrial Property Law | Polish Act on Trade marks | Polish courts | Polish law | Polish Patent Office | reputed trade marks | trade mark invalidation | trademark law | Voivodeship Administrative Court. The request was also based on provisions of article 6septies of the Paris Convention for the Protection of Industrial Property. The S&S company argued that for over twenty years it exports clothing goods marked with the Scotch & Soda trade mark to many countries in the world through local distributors. One of them was a Polish businessman, who in 1994 became the sole importer and distributor of Scotch & Soda products in Poland. According to S&S his Polish partner has abused its trust by obtaining the trade mark protection for Scotch & Soda trade mark for himself and in this way blocking access to the Polish market for S&S. In 2002, the S&S company has signed with Piotr Szlegiel a document called “cession of rights from the registration of the mark.” However, at the date of the signature of this document, the right of protection for word-figurative trade mark SCOTCH & SODA R-100588 already belonged to “SCOTCH & SODA” POLSKA. In addition the S&S company received a financial request from the Polish entrepreneur. “SCOTCH & SODA” POLSKA claimed that it was an equal partner, rather than the official importer and sole distributor of the S&S company’s goods and it was not bound by the agency or representative contracts. The legal predecessor of “SCOTCH & SODA” POLSKA had full autonomy inter alia, he was allowed to apply for the registration of the disputed mark on the territory of the Republic of Polish. This fact was known to S&S. Polish company has claimed that S&S failed to obtain the trade mark protection for SCOTCH & SODA sign based on the international registration under the Madrid Agreement and it did not take any action to change this situation. After the completion of courts’ proceedings the S&S company has offered “SCOTCH & SODA” POLSKA a royalty-free (free of charge) license to use the disputed trade mark for shoes throughout Europe in return for the transfer of the right of protection. These negotiations have not yielded results. “SCOTCH & SODA” POLSKA was astonished by the fact that the S&S company “challenged” the right of protection for word-figurative trade mark SCOTCH & SODA R-100588 for the first time after it has received a cease and desist letter (a request for voluntary fulfilment of plaintiff’s demand is a prerequsite to file a complaint in a civil suit against trade mark infringer) on October 2003. “SCOTCH & SODA” POLSKA requested the Polish Patent Office to dismiss a request for invalidation of the right of protection for SCOTCH & SODA R-100588. The Polish company called the circumstances with regard to litigation that ended in a judgment issued by the Regional Court in Zielona Gora (case act signature V GC 522/03). the Regional Court dmissed a suit brought by S&S company based on article 161 of the Polish Act of 30 June 2000 on Industrial Property Law – IPL – (in Polish: ustawa Prawo wlasnosci przemyslowej) of 30 June 2000, published in Dziennik Ustaw (Journal of Laws) of 2001 No 49, pos. 508, consolidated text on 13 June 2003, Dziennik Ustaw No 119, pos. 1117, with later amendments. However, the PPO did not agree with “SCOTCH & SODA” POLSKA arguments and it has invalidated of the right of protection for SCOTCH & SODA R-100588 trade mark in its decision of 2007. In the PPO’s assessment the legal predecessor of “SCOTCH & SODA” POLSKA has been acting in bad faith while applied for the protection rights to the disputed sign. According to the Polish case-law and doctrinal opinions that were cited by the PPO, the applicant for trade mark registration is acting in bad faith when he/she knows or should know that such action violates third parties’ rights. Acting in bad faith is also one who is relying on a right or legal relationship and knows that this right or a legal relationship does not exist, or he or she does not know, but the lack of knowledge can not be regarded as the justified circumstances. The PPO has also noted that in the legal commentaries on Polish trade mark law two competing views on bad faith are taken into account. First, bad faith occurs when a person who owns a disputed trade mark registration had to know or should know that the legal conditions to acquire this right were not met. In such case, the owner is always acting in bad faith when a mark has been registered contrary to the applicable provisions of the law or expressly recognized principle of social coexistence (see: article 8(i) of the TMA). By contrast, in the case of trade mark registration that was made despite the existence of an earlier priority right, an owner of such righ can be entitled as acting in good faith only if he or she was deceived (and it can be justified) with regard the extent of protection resulting from the trade mark right with an earlier priority. If the registration has been aquired by a person for a purpose other than to use a trade mark (for example, to force financial concessions from other entrepreneurs, to obtain control over imports, to force reaching of a license agreement) in this case, bad faith is understood as a qualified form of a breach of social coexistence rules. Such opinion was issued by R. Skubisz, Prawo znaków towarowych. Komentarz (in English: Trade mark law. Commentary), Warszawa 1997, p. 224. However, in turn, dr Elzbieta Wojcieszko-Gluszko thinks that there is no reason to modify the general concept of good and bad faith for the needs of the IPL regulations. According to dr Wojcieszko-Gluszko a valuable guidance for the interpretation with regard to bad/good faith may be a reference to the legal definition of a filing made in bad faith that is provided in the Benelux Trademark Law. The PPO also cited arguments provided in the judgment of the Supreme Administrative Court of 6 August 2002, case file II SA 3879/01 and interpretation included in the judgment of 17 July 2003, case file II SA 1165/02 that was issued on the basis of article 8(i) of the TMA and in which the Court concluded that the issue of an assessment of the contradiction of a trade mark application with rules of social coexistence does not refer to trade mark only and itself, but also takes into account the contradiction with the principles of actions made by an applicant and their intended effect. In courts’ opinion the extending interpretation of the rules of social coexistence is justified if one notices that this general clause/rule has displaced such clauses and rules as the principles of good manners, fair trading and good faith. The PPO has considered as totally unfounded all arguments that the consent for a trade mark registration belonging to a partner was justified due to a lack of prohibition in the relevant articles of association, or in other agreements concluded between the parties. The concept of an agent or a representative in this case should be interpreted according to the Polish law. Selling products on the Polish market by the involved people was in such a role. “SCOTCH & SODA” POLSKA brought a complaint to the Voivodeship Administrative Court in Warsaw, which, in a jugment of 29 May 2008, case file VI Sa/Wa 402/08 dismissed the complaint. “SCOTCH & SODA” POLSKA brought a cassation complaint to the Supreme Administrative Court in Warsaw. The cassation complaint was dismissed in judgment of 2 July 2009, case file II GSK 950/08. The SAC emphasized the fact that for the assessment of compliance of a registration of a mark with the principles of social coexistence (as referred to in article 8(i) of the TMA) the most authoritative is the moment of filing an application for trade mark registration of in the Patent Office, which in this case took place in March 1995. It could not be left imperceptible by the Courts that even “SCOTCH & SODA” POLSKA claimed that the disputed mark was not its property at the date of filing for registration in the Patent Office (sic!). Moreover, the legal predecessor of “SCOTCH & SODA” POLSKA did not inform S&S about his registration neither got a permission for such action. If it were otherwise, what is clear, the S&S company would not file for the recognition on the territory of the Republic of Poland of the protection for its international trademark. As a distributor of the goods of an entrepreneur located abroad who was not leading any commercial activities in its own name on the Polish territory, the legal predecessor of “SCOTCH & SODA” POLSKA probably knew, or in any circumstance must have known that the application in its own name for registration of a trademark belonging to a foreign business violates provisions of article 6 septies of the Paris Convention. But not only. “SCOTCH & SODA” POLSKA predecessor’s behavior violated the rules of social coexistence, within the meaning of article 8(1) of the TMA. His actions in fact were directed at the appropriation of trade mark property rights owned by the S&S company, without obtaining any consent, in order to achieve unjustified benefits. Such behavior clearly violates the principles of social coexistence as it was decided by the Polish Patent Office and the Voivodeship Administrative Court in Warsaw. Categories: Art. 161 IPL | Art. 6septies Paris Convention | Art. 8(1) TMA | bad faith | case law | letter of consent | Paris Convention | Polish Act on Industrial Property Law | Polish Act on Trade marks | Polish Supreme Administrative Court | trade mark invalidation | trademark law. The Voivodeship Administrative Court in Warsaw in its judgment of 24 July 2008 case file VI SA/Wa 238/08 dismissed Tiffany & Broadway Inc. Div. of Texpol Corporation’s appeal against the Polish Patent Office decisions of 19 March 2007 cases files Sp. 68/04 and Sp. 69/04, regarding the invalidation of the right of protection for word-figurative trade marks TIFFANY R-128063 and “Tiffany & Broadway Inc.” R-128064 which were registered in Class 25 for shoes. The invalidation proceedings were started by Tiffany & Co. from New York. The New York’s company alleged not only the similarity of signs but also a breach of its over-150-year reputation applied to jewellery products. During one of the hearings before the Polish Patent Office, Tiffany & Co. provided evidence of a witness as regards the reputation and universal knowledge of Tiffany & Co. brand. The witness stressed that, although in post-war Poland the Tiffany brand was not present on the Polish market, the press (women’s magazines and other publications) wrote about the Tiffany & Co. as the provider of luxurious jewellery. The court has affirmed the PPO’s findings that the TIFFANY trade mark has the reputation even if it was not registered in Poland. Judge Olga Żurawska-Matusiak decided that renowned signs or snobbish signs (sic!) do not need to be widely known to the public. It is a sufficient factor if they are known to the relevant public, to whom such signs are addressed, those are consumers who are interested in buying luxury goods. If there exists an international reputation of a sign – it also includes Poland. Tiffany & Broadway Inc. Div. of Texpol Corporation filed a cassation complaint. The Supreme Administrative Court in its judgment of 8 July 2009, case file II GSK 1110/08 ruled that the reputation of a trade mark is associated with its highly distinctive character. One could say that a reputed trade mark is the one that has a high ability to automatically trigger associations with the product for which it was registered. It is quite obvious that this ability will be weaker, adequately to the number of cases of using the same or similar trade mark as a designation of other goods that are originating from other entrepreneurs. With regard to the plea of weakening (the dilution) of the reputation of the Tiffany trade mark, i.e. weakening its individuality, based on the ability to cause the automatic association with the goods marked by this sign, such effects are also caused by unquestioned by the Court numerous registrations of identical or similar trade marks for other entrepreneurs for various other goods, as well as the use of this sign the name of very different businesses. The SAC annulled the questioned judgment and remitted the case to the VAC for reconsideration in accordance with the conclusions reached and ordered the Polish Patent Office to pay Tiffany & Broadway Inc. Div. of Texpol Corporation 1200 PLN as reimbursement of costs of the cassation compliant. Categories: Art. 2 Paris Convention | Art. 3 TMA | Art. 8(1) TMA | company name or firm | famous trade marks | Paris Convention | Polish Act on Industrial Property Law | Polish Act on Trade marks | Polish courts | Polish law | Polish Patent Office | reputed trade marks | similarity of goods | similarity of services | similarity of signs | trade mark invalidation | trademark law | Voivodeship Administrative Court. The recent judgment of the Voivodeship Administrative Court (VAC) in Warsaw of 6 June 2008, case act signature VI SA/Wa 517/08 acknowledged that the Nice Classification should be used as an auxiliary tool to decide about of the same kind of goods which is also in the accordance with article 2(1) of the Nice Agreement Concerning the International Classification of Goods and Services for the Purposes of the Registration of Marks. Subject to the requirements prescribed by this Agreement, the effect of the Classification shall be that attributed to it by each country of the Special Union. In particular, the Classification shall not bind the countries of the Special Union in respect of either the evaluation of the extent of the protection afforded to any given mark or the recognition of service marks. HIRSCH-POL Sp. z o.o., filed before the Polish Patent Office (PPO) a request for partial cancellation of the trade mark rights for PRYMUS R-144135 trade mark owned by Krzysztof Moska and registered for classes 01, 02, 04, 16, 17, 19, 35 and 39. HIRSCH-POL Sp. z o.o. was claiming the priority of an earlier registered trade mark PRYMUS R-136008 in class 2. The PPO dismissed the request. HIRSCH-POL logged a complaint to the Voivodeship Administration Court in Warsaw. The Court overruled the contested decision, finding that the PPO did not establish the scope of a protection for the PRYMUS sign and the Nice Classification is only an auxiliary tool to decide whether goods are of the same kind. Following the judgment, the PPO cancelled Moska’s trade mark in classes requested by HIRSCH-POL. This time Mr Moska lodged a complaint before the VAC, claiming violation of administrative procedure’s rules and violation of the rule of “certainty and confidence of State’s bodies”. The Voivodeship Administration Court in Warsaw held that the contested sign may lead to consumers’ confusion with regard to the origin of goods and that its previous conclusions which applied to the Nice Classification were correct. Categories: likelihood of confusion | Nice Classification | Polish Act on Industrial Property Law | Polish Administrative Proceedings Code | Polish courts | Polish law | Polish Patent Office | trademark law | Voivodeship Administrative Court. On 15 April 2003 the Polish Patent Office (PPO) received a request filed by Kosmetyczno Lekarska Spółdzielnia Pracy IZIS from Warsaw to declare the lapse of protection rights for the AMBER R-98839 trade mark registered for Evyap Sabun,Yag,Gliserin Sanayi Ve Ticaret A.S., Istambuł (Turkey) in class 3 for goods such as bleaching preparations and other substances for laundry use; cleaning, polishing, scouring and abrasive preparations; soaps; perfumery, essential oils, cosmetics, hair lotions; dentifrices. This trade mark was registered on 19 November 1997, with priority date as of 9 February 1994. The request was based on non-use of AMBER trade mark. IZIS justified its legal interest in requesting the PPO to decide on the lapse of the right of protection because it is the manufacturer of products in class 3 (cosmetics: creams, cosmetics milks, lotions, tonics) that are labeled with AMBER sign and because of the fact that the Polish Patent Office rejected IZIS’s request of 10 April 2003 for invalidation of the right of protection of the disputed trade mark, and held that the AMBER R-98839 trade mark was an obstacle to the application for registration of IZIS word trademark AMBER – IZIS, Z-161082. During the proceedings before the PPO the Turkish company submitted evidence of actual use of the disputed trade mark only in respect of soaps. On 5 April 2003 the PPO ruled on the lapse of the right of protection for AMBER R-98839 for goods in class 3 such as “cosmetics”. The Turkish company filed a complaint to the Voivodeship Administrative Court (VAC) in Warsaw. The VAC rejected the motion in its decision of 10 March 2008, case file VI SA/Wa 1811/07. The Court held that the term “cosmetics” covers a wide range of cosmetics products intended for various use: industrial, cleaning, protective or fragrance and beautification. The fact that soaps are within the scope of “cosmetics” did not justify the findings of an actual use of the disputed trade mark in respect for all cosmetics where the mark is actually used only in respect of soaps, which were, moreover, identified by the applicant in the description of goods right next to cosmetics. The court also noted that according to article 169(6) of the Polish Act of 30 June 2000 on Industrial Property Law – IPL – (in Polish: ustawa Prawo własności przemysłowej) of 30 June 2000, published in Journal of Laws (Dziennik Ustaw) of 2001 No 49, item 508, consolidated text on 13 June 2003, Journal of Laws (Dziennik Ustaw) No 119, item 1117, with subsequent amendments. Where a proceeding for the declaration of the right of protection lapsed is initiated, the burden of proof that the trademark has been used or that serious reasons for non-use of the trade mark exist shall be on the holder of the right of protection. Or as the Court said, passivity during the burden of proof is the problem of the trade mark holder. In this case, the Turkish company during proceedings before the Polish Patent Office has not disclosed the existence of valid reasons for non-use, for any goods except soap. The company from Turkey filed a cassation complaint before the Supreme Administrative Court (SAC). The SAC in its judgment of 3 February 2009, case file II GSK 698/08 held that the Nice Classification of goods is not conclusive as to the nature of goods belonging to each of the classes. It has only an auxiliary nature during the process of formulation of lists of goods for signs that were applied for to the Patent Office as to organize the goods and services in accordance to its characteristics. In case of a dispute before the Patent Office in proceedings for the declaration of lapse of the rights of protection for trade mark as regards to the part of the goods, as a result of non-use of a registered trade mark, it is required to assess the actual attribiution of the disputed goods to a category, regardless of how it the list of these goods was drawn up. In SAC’s opinion, the Polish Patent Office, followed by the first instance court, have failed to analyze the similarity of the goods for which AMBER trade mark has been registered for and their attribution to a given category. Both the PPO and the VAC did not answer the most important question do soap and cosmetics belong to the same category of goods? It was required by the PPO to assess what is the actual attribution of the disputed goods to what category, regardless of how the list of these goods was done. If you lodge a complaint on the decision of the Polish Patent Office, the first instance court (the Voivodeship Administrative Court in Warsaw) is obliged to review the decision in terms of its compliance with the substantive law and rules of conduct. The SAC held also that the PPO did not examine sufficiently the question of whether there was the important reasons for non-use of a registered mark, and this was due to the ongoing proceedings on the invalidation of the right to registration of the trade mark. The Supreme Administrative Court annulled the contested judgment, and ordered the Voivodeship Administrative Court in Warsaw to reconsider the case. Categories: Art. 169(6) IPL | International law | Nice Classification | non-use | Polish Act on Industrial Property Law | Polish courts | Polish law | Polish Supreme Administrative Court | trade mark lapse | trademark law | Voivodeship Administrative Court. 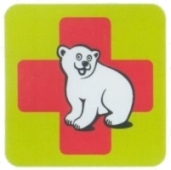 In 2000 the PHU Makroterm K. Wąchała & A. Wąchała applied for the registration of the figurative and word mark MAKROTERM in classes 6, 9, 11 and 42. The Makro Cash and Carry company, who applied for the registration of the figurative and word mark MAKRO in classes 1–45 on 22 March 2000, opposed to the registration. Upon finding the observations groundless, the case was then decided by the Polish Patent Office (PPO). Makro Cash and Carry claimed that the disputable mark imitated the MAKRO mark, used its renown and infringed the company’s right to a company name. Makroterm in turn said there was no likelihood of confusion since the disputed mark did not use the renown of the MAKRO mark because of the fact that Macro Cash and Carry failed to prove the MAKRO mark had been renowned. The Makroterm representative also said the MAKRO mark had not been universally known. The PPO overruled MAKRO’s opposition. It decided that in assessing similarity one should not focus solely on one element – the “makro” word. It also said the MAKROTERM mark was one word combining the “makro” and “term” words into an original name that moreover had been put in a colourful design. According to the Office both marks brought about different associations in the minds of the relevant public. It decided that the marks themselves differed and did not examine similarity in goods offered by the companies. The Office also pointed out that the provided advertising materials concerned only the MAKRO CASH AND CARRY mark. With regard to the infringement of the right to a company name it decided the name was a compound one so there could not have been any infringement. Makro Cash and Carry filed an appeal against the decision of the Polish Patent Office. It read that the Office had not assessed the similarity of goods offered by both companies and with identical goods the criteria for assessing similarity of marks are much stricter. Makro Cash and Carry also said the Polish Patent Office assessed only the differences but it should have assessed similarities. Makroterm in turn underscored that the universal recognition of the MAKRO sign had not been adequately demonstrated and that the mark had been recognized by a half of the relevant public. It also questioned the research commissioned in 2006 by the MAKRO company. The Voivodeship Administrative Court (VAC) in Warsaw, in a judgment of 22 March 2007, case file VI SA/Wa 1325/06, rejected the appeal. The Court held that the PPO had already compared the marks with regard to all three planes and decided that the marks bore fundamental differences. It decided that the “makro” word was a common one and had little distinctive value. Apart from that it found the “term” word much more distinctive, which together with colourful design of the MAKROTERM mark made both marks different. MAKRO filed a cassation appeal to the Supreme Administrative Court (SAC). The Supreme Court in the judgment of 15 January 2008, case file II GSK 298/07 fully agreed with the earlier judgement of the Voivodeship Court and the decision of the Polish Patent Office. It also decided there was no similarity between the marks that would lead to a confusion neither on the phonetic, nor conceptual, nor figurative plane. The mark also had not infringed the appellant’s right to the name of his company. Categories: Agreement on Trade-Related Aspects of Intellectual Property Rights | Art. 16(3) TRIPS | Art. 315 IPL | Art. 8(1) TMA | Art. 8(2) TMA | Art. 9(1)(i) TMA | company name or firm | famous trade marks | International law | likelihood of confusion | Polish courts | Polish Supreme Administrative Court | reputed trade marks | similarity of signs | trade mark invalidation | trademark law | Voivodeship Administrative Court | well known trade marks.